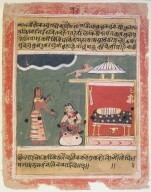 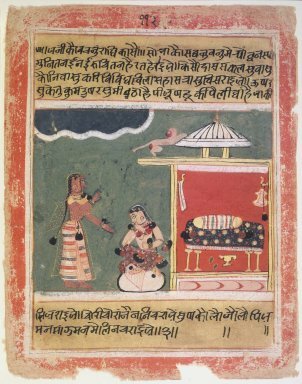 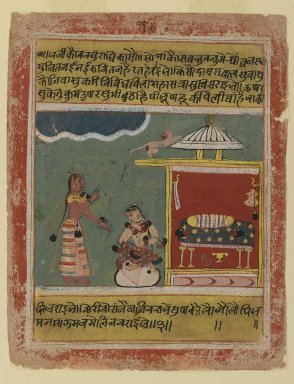 This page is from one of the earliest illustrated versions of the Rasikapriya, a Hindu text that describes the love affair between the god Krishna and his beloved, Radha. 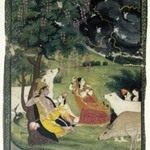 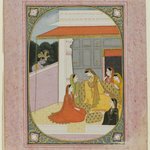 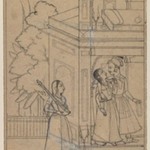 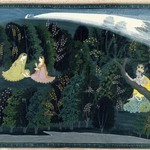 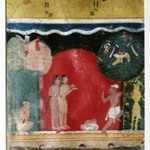 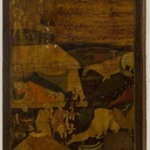 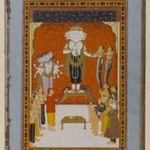 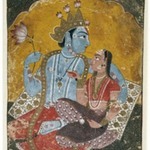 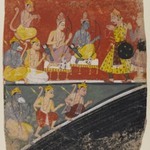 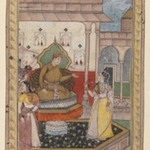 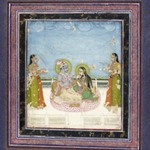 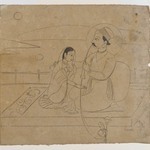 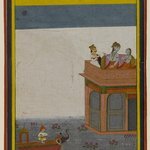 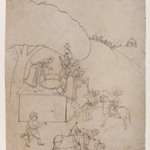 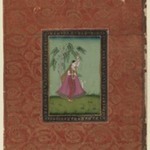 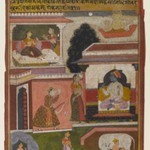 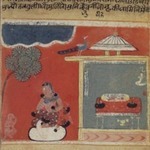 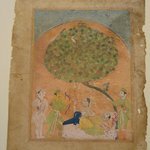 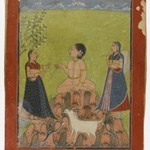 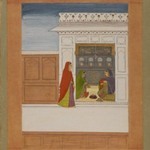 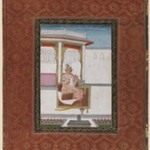 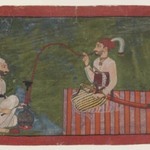 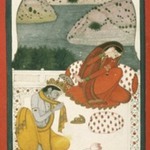 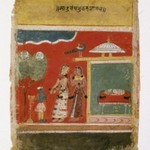 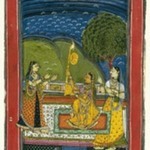 It depicts a dejected Radha speaking with a confidante. 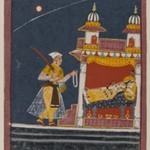 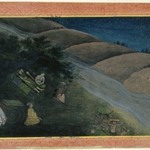 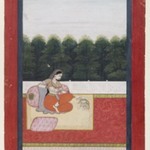 The empty bed suggests that Radha has refused to see Krishna because she believes that he has been unfaithful. 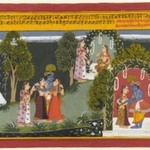 The text at the top quotes the friend, who asks Radha what joy there is to be had in denying herself the god’s beauty and charm. 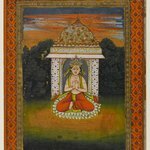 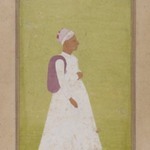 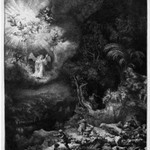 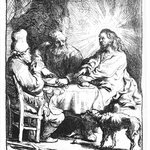 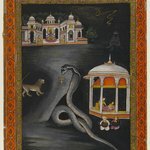 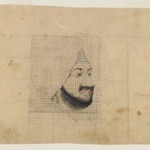 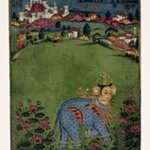 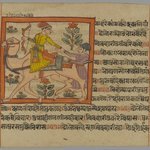 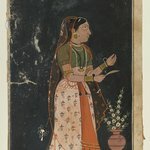 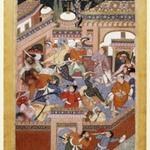 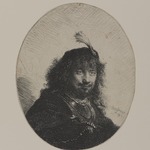 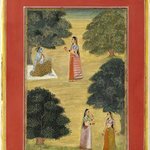 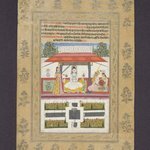 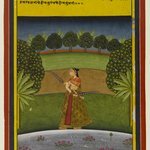 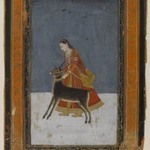 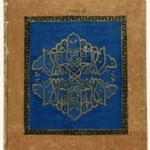 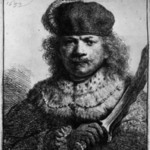 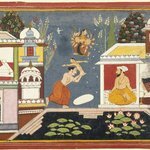 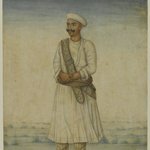 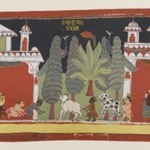 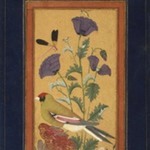 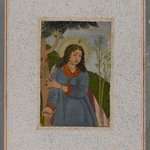 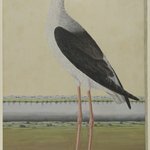 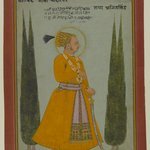 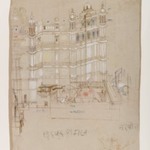 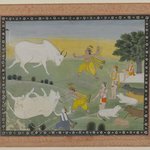 The painting is in the bright, flat, efficient style practiced in central India in the seventeenth century.